Sunshine Village is one of three ski resorts in Banff National Park. It offers more than 3,300 acres (1,335 hectares) of slopes, with 12 lifts and more than 100 runs. The ski season is from early November through late May. Come to hike between June and October. 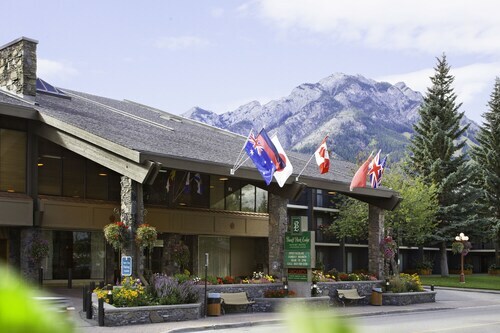 There’s just one hotel in the resort, so most visitors come by day trip from Banff or Calgary. 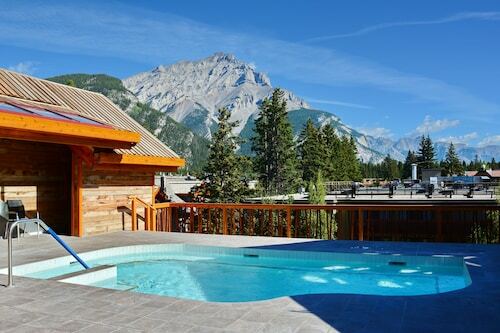 It’s a 15-minute drive from Banff and 90 minutes from Calgary. Regular bus services operate from Banff and Calgary to the resort every day. 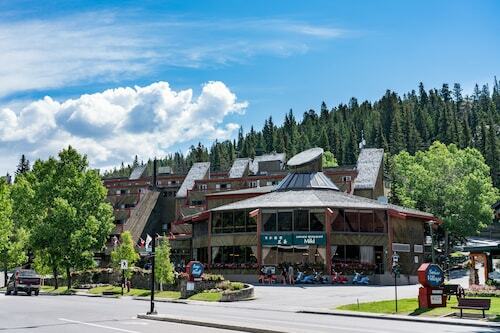 There are restaurants, shops and ski rental facilities at Sunshine Village. The resort typically gets about 30 feet (9 meters) of snow in a season. The mountains are high enough that the snow stays dry and powdery throughout the season. 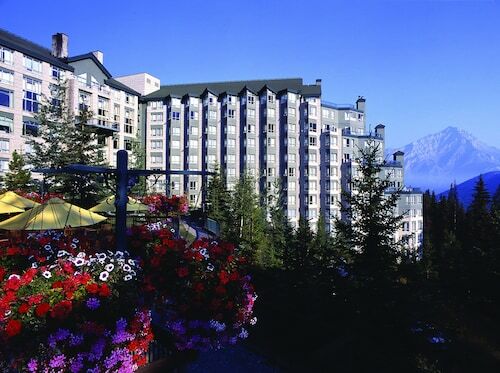 The resort encompasses three mountains: Mount Standish, Goat’s Eye Mountain and Lookout Mountain. At the highest point, the range is 8,954 feet (2,730 meters) above sea level. Ski runs cater to beginner, intermediate and advanced levels, as well as snowboarders. Sign up for a lesson in advance or on the day. Experienced skiers can rent a guide and hit the off-piste areas. Expect fresh powder and deserted slopes. The mountains are easily navigated using maps at each lift and clearly marked runs. Stop for a break at one of nine eateries across the resort that range from casual to fine dining. In summer, the mountains are covered with wild flowers. There are hiking trails for all fitness levels and guided walks are organized daily. During the ski season, lifts are open every day. Day or season passes for the lift can be bought online or from offices in Calgary, Banff and Sunshine Village. 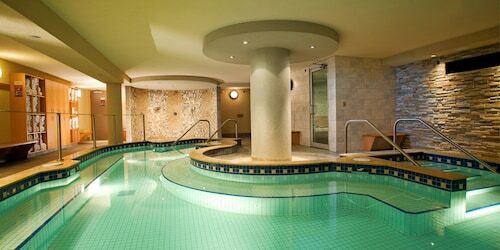 Prepare to have your breath taken away by the Sunshine Ski Resort, a name that is synonymous with Sunshine Village Banff and the Continental Divide. Winter is the time of year to find the ski haven that is beyond imagining. Canada is the top choice for ski enthusiasts from around the world, providing the perfect weather, prime spots for heli skiing, night skiing, and unforgettable ski vacations. It's time to book your ski vacation packages on Sunshine Mountain. Don't let the opportunity pass you by to ride your way down some of the best snow of your life. If you're in the mood for adventure, you can hit the slopes on rentals and slide into the province of Alberta or cross over to British Columbia. Be mesmerized by the beauty of the Banff National Park and the mountains rising above you when Sunshine skiing is yours. You have seven months to catch the action. Take your pick of great deals for season tickets in Sunshine Village from November through May. 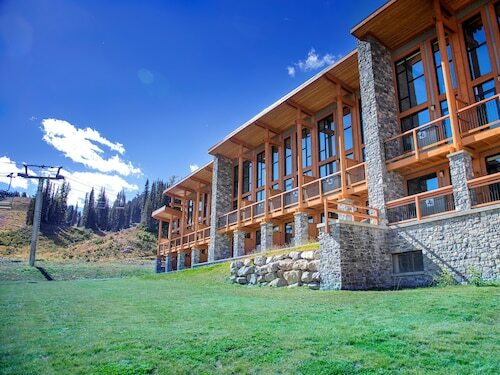 Whether you want a winter break or feel like getting your last hurrah of snow in the spring, you'll find yourself in the heart of ski country. Explore the area and take advantage of ski school and ski tours at competitive prices. There will be room in your budget for ski rentals or you can bring your personal equipment from home. 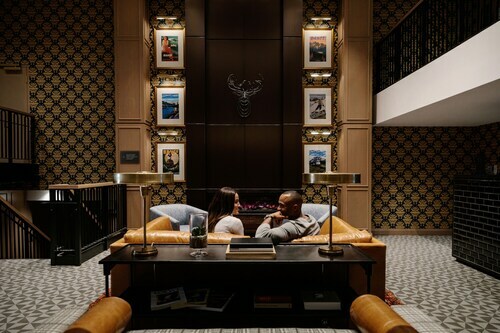 Lift tickets at discount prices mean more money in your pocket when you are wining and dining, shopping in the village, opening your heart to an awe-inspiring vista. 3,300 acres are at your exposure and you can tailor your trip according to your skill level. Beginner, intermediate, and expert trails are at your disposal. Rev up, pack your bags, and make Sunshine your next vacation destination. 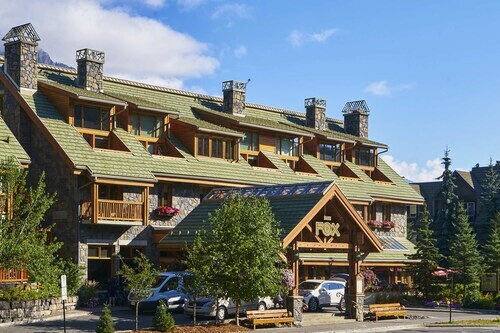 Located near the slopes, this East Kootenay G lodge is in the mountains, 0.1 mi (0.2 km) from Sunshine Village, and within 12 mi (20 km) of Banff National Park Information Centre and Banff Lake Louise Tourism Bureau. Banff Centre for Arts and Creativity and Bow Falls are also within 12 mi (20 km).